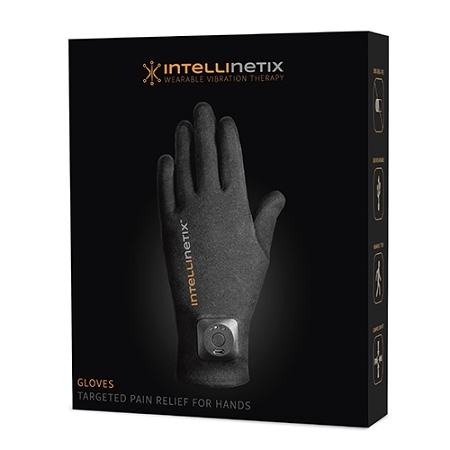 The Intellinetix 2 Vibrating Arthritis Gloves combine vibration therapy technology and mild compression to help relieve hand pain by improving circulation and decreasing edema. 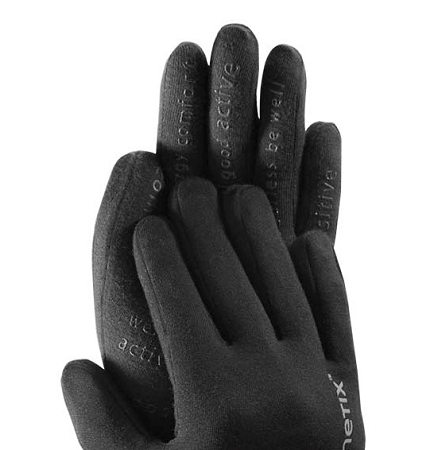 People with arthritis hand pain will find these patent-pending gloves with full fingers and anti-slip grip pattern provide soothing comfort for arthritic hand pain. 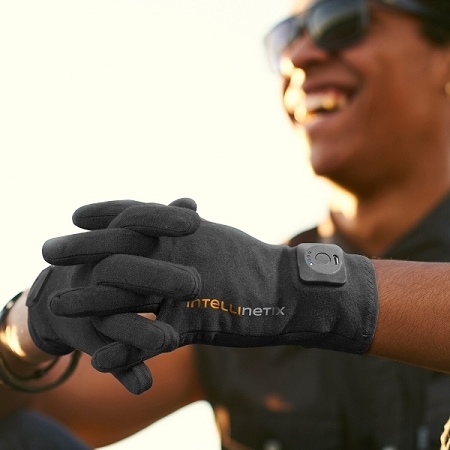 Patent-pending Intellinetix 2 Vibrating Arthritis Gloves provide subtle, yet effective vibration therapy that increases blood circulation and warms aching joints. Studies have found vibrations also create a sensory distraction and disrupt chronic pain signals. 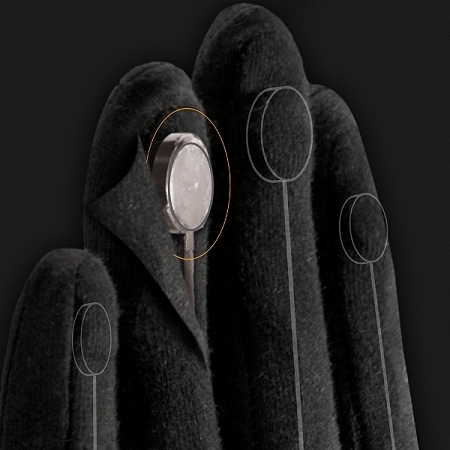 Small vibrating motors embedded in the gloves are controlled with an easy to operate push button near the brand label. 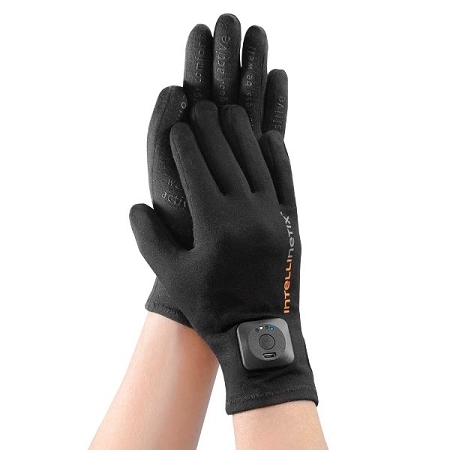 These vibration therapy gloves are available without a prescription. Fully charged gloves will operate approximately 20 minutes. Studies suggest 20 - 30 minutes of treatment two times a day may provide lasting relief. With vibration therapy there is no feeling of electric shock commonly associated with TENS units. 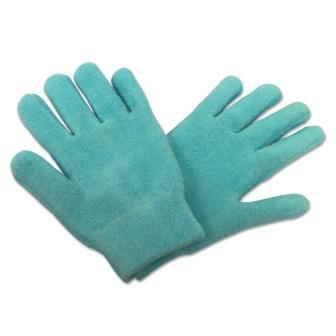 Vibrating Gloves are available in small, medium and large sizes. To measure for size, place the knuckle of your index finger at the edge of a ruler and measure the total width of all 4 fingers combined (not the thumb). Material: 92% cotton, 8% spandex, not made with natural rubber latex. Care: Spot clean with damp cloth. Lay flat to dry. 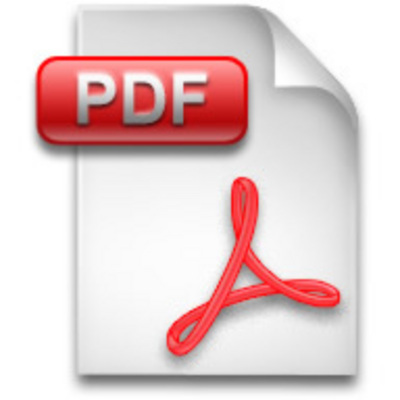 Size: Measure across knuckles to determine size. Small fits: Up to 3 inches. Medium fits: Up to 3.5 inches. Large fits: Up to 4 inches. Power: Rechargeable battery with AC power cord. A: One AC power cord is included. Q: My brother had an ‘in complete ‘ injury to his cervical spine 2 years ago. He is able to use his right hand, however the left side stays in a fist. The fingers on his left hand actually cuts into the palm of his hand. Will this glove help keep his hand opened during the day? Currently at night time and off-and on throughout the day he keeps a washcloth in the palm of his hand to prevent the fingers from ‘cutting’ into his palm. Thank you. 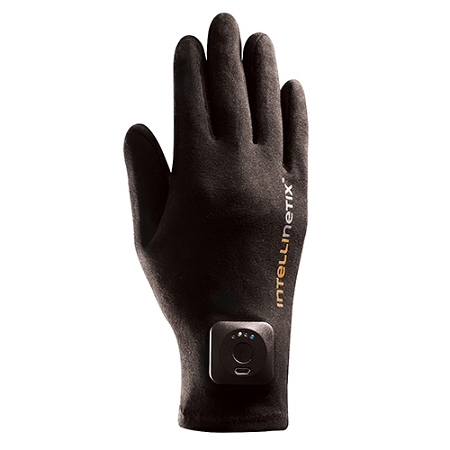 A: The Intellinetix 2 Vibrating Arthritis Gloves are mainly to help alleviate aches and pains associated with arthritis. They are flexible for continuous wear. They won't prevent the hand from clenching into a fist. However there are a couple of product that may help with a clenched fist. The Ventopedic Palm Protector (Left hand Product #: CTM504 and Right hand Product #: CTM503) or the Ventopedic Hand Orthosis (Product #: CTM502).